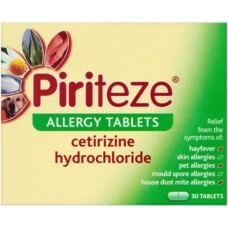 Take one Piriteze Allergy Tablet daily. 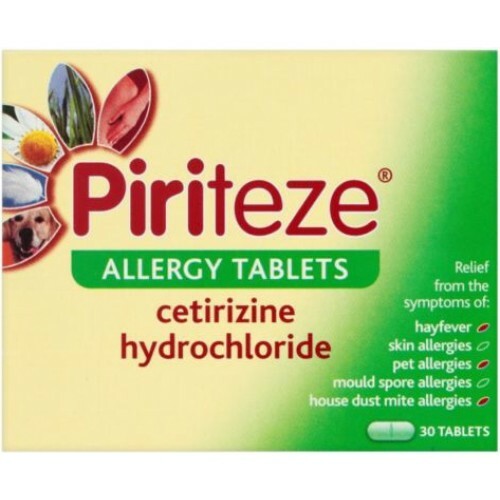 Piriteze Allergy Tablets, at recommended dose, do not cause drowiness in the majority of people. However as with all antihistamines, rare cases of drowiness have been reported. If affected, do not drive or operate machinery.